Something Has To Haul Them Away! 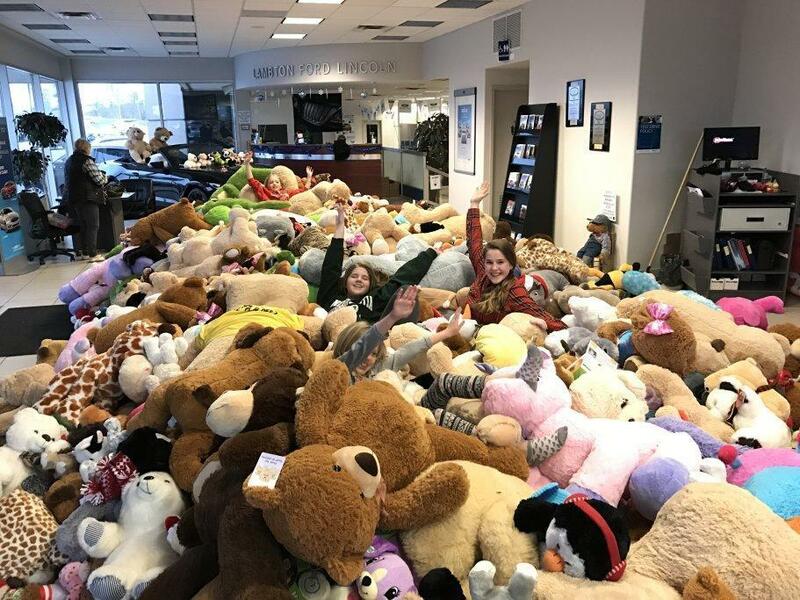 Check out this great picture from this year's Teddy Bear Toss! 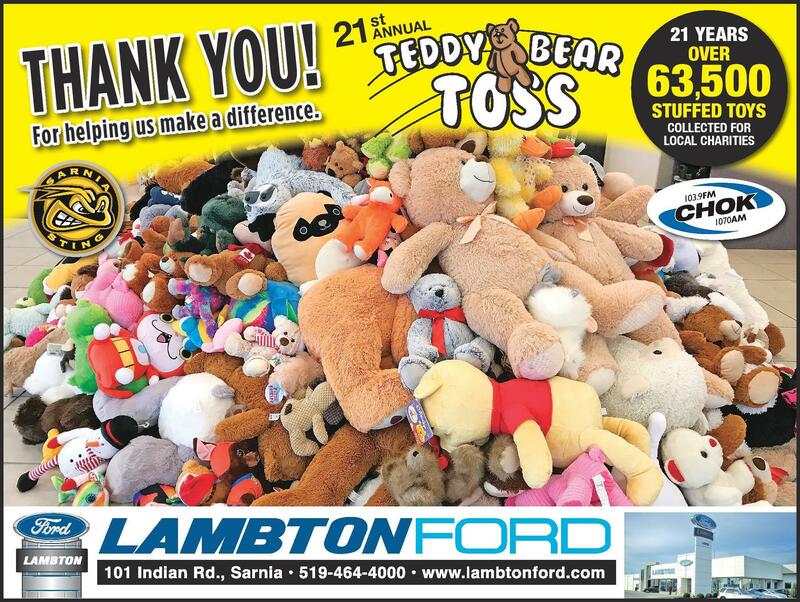 Teddy Bear Toss takes place annually in December during a Sarnia Sting home game.The first toss took place back in 1998 and since then over 36 000 teddy bears have been donated. Everyone brings a bear or two to throw on the ice when the Sting score their first goal! 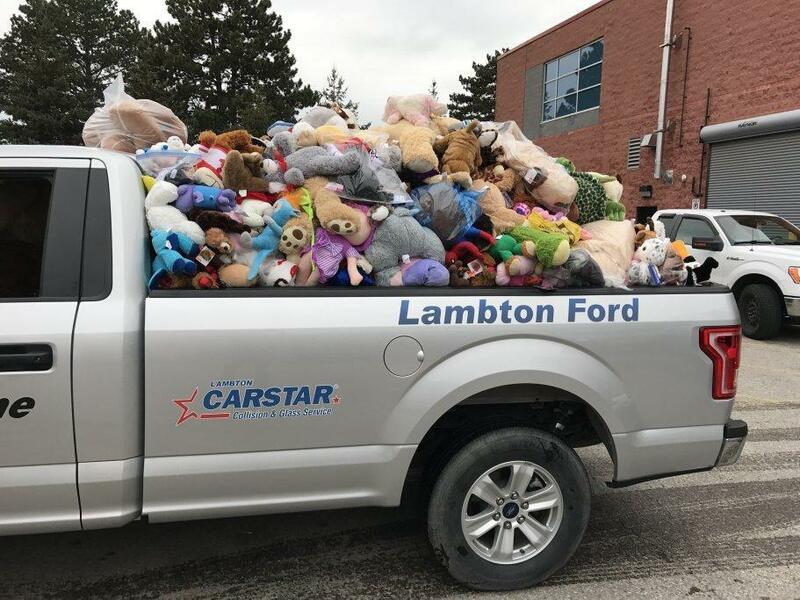 The bears are collected and donated to local charities including The Salvation Army to help make Christmas a little more exciting for those less fortunate. Below you'll find some pictures and letters that prove how successful this event really is! A special thanks to our partners in this great event. We obviously enjoyed some great results once again this year, we had a huge crowd, over 3,230 stuffed toys were collected from the game and the Sting continued to improve their already outstanding T/B Toss record with another exciting win. Some quick facts; The Stings’ record over the 19 years is really good, we have 27 of a possible 38 points. Looking at the past 10 games it is even more impressive with 17 of the possible 20 points. With this year’s total of toys collected we will be about 53,950 so hopefully we can get to 54,000 by the time we wrap up this year’s event. Thanks again, what a great effort by everyone involved!